We all have a very busy life these days, with work and family and volunteering wherever possible. Which means sometimes you might not get time to fact-check some of the things written about you before they get published. I often do talks, and organisers always ask me to send a bio or short description of my background which they publish in the programme or on the accompanying website. Usually they ask me to send my own, which suits me because this way I can ensure it is absolutely accurate and doesn’t contain any inaccuracies. But here is an example of one which obviously slipped by the person in question without proofreading. It’s only short but there are several inaccuracies which are immediately obvious to me. You can see a link to the web page where this bio originally appeared here. The most obvious one is “unbiased” from “…offers her unbiased…knowledge…” (see above). 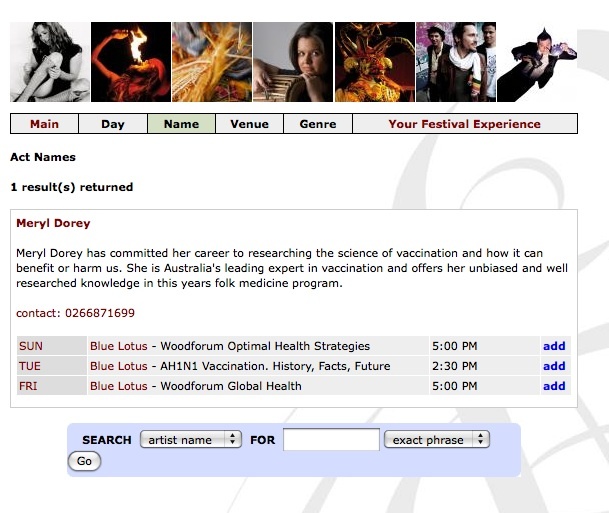 Following are a few examples of Meryl’s “unbiased” views on vaccination. 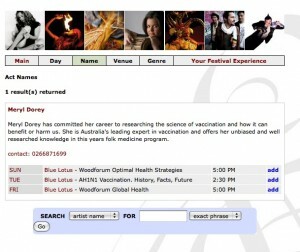 Another example of Meryl’s “unbiased” opinion/information occurred during a recent interview on Lismore local ABC radio where, despite repeated questioning she was unable to state one childhood vaccine that she thinks is “good”. This is despite the fact the she insists publicly that she and the AVN are not anti-vaccine, but pro-choice. 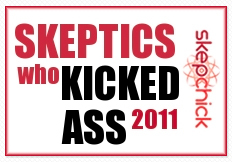 Following is part of a transcript from the interview she did about her and the AVN winning the Australian Skeptics “Bent Spoon” Award for 2009. Interviewer: “Which vaccines do you think are good then in Aust..? Interviewer: “That wasn’t what I asked though was it. Which vaccines are good? This was the point I think the Skeptics were making is that you’ve never actually said, which vaccine is worthwhile, which scientific designed vaccine is good, worthwhile. Cat got your tongue Meryl? If you spot any more inaccuracies, and can support them with evidence (no defamatory statements please), then please leave a comment. Perhaps Meryl would appreciate the feedback so that her next bio is not quite so misleading. If only for the sake of her members, and other parents seeking advice on vaccination, who trust they get accurate information from the AVN and Meryl. Thanks to Steve for the tip-off. Audio courtesy of the Vaccination Awareness and Information Service. « Alternative medicine trumps science, resulting in tragedy.